In a yearlong collaboration, Stanford University, Northeastern University and WRNS Studio have investigated the impacts of changes in work and workplace upon the public realm and vice versa. Work is an intrinsic part of human life and deeply intertwined with the social, political, environmental, and technological context in which it takes place at any given time in history. In today’s knowledge society we see networked information technologies and flexible work practices which increasingly untether people from a specific workspace. New places are dynamically turned over to moments of work at any time: a park may host a job interview, a cafe forms the backdrop for a meeting with clients, a library becomes a retreat for focused writing, a train becomes email central during a busy morning commute. At different times of the day, all of these, and other places, become as much of a workplace as the traditional office. We have put this emerging experimentation of mediating between workplace and public life at the center of a year-long studio titled “Situated Work + Public Life”. The studio was jointly organized, in the 2015/16 academic year, by the Architectural Design Program at Stanford University, Northeastern University’s School of Architecture, and involved both faculty as well as students. Our industry partners Jones Lang LaSalle, Kilroy Realty, Equity Office, CoreNet Global—Northern California Chapter, Intuit, and Knoll generously supported the initiative and brought in their vast know-how on the issue. The book “Workplace + Public Realm” reflects the findings of this yearlong initiative led by Stanford University, Northeastern University and WRNS Studio, pointing to ways in which the built environment is bound to transform radically as the boundaries between workplace and public realm are being renegotiated. 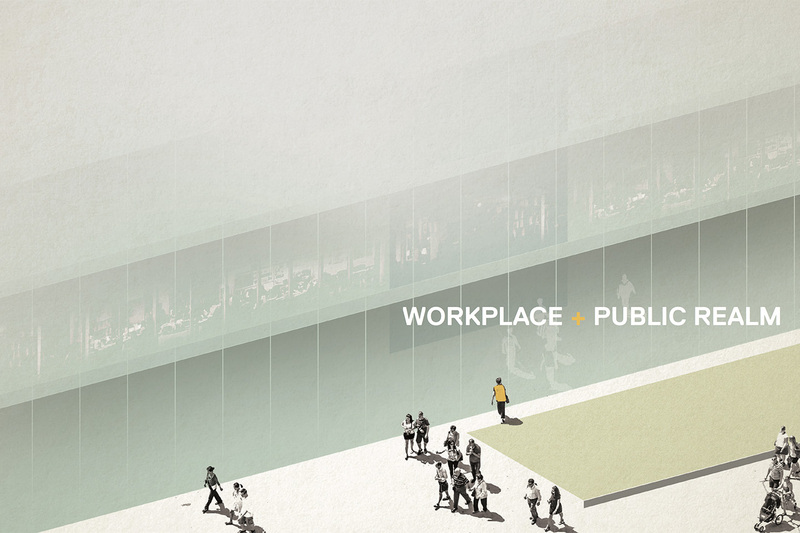 More information about the initiative can be found on the “Workplace + Public Realm website“. The book can also be directly downloaded from Northeastern’s digital repository as Workplace + Public Realm (pdf).